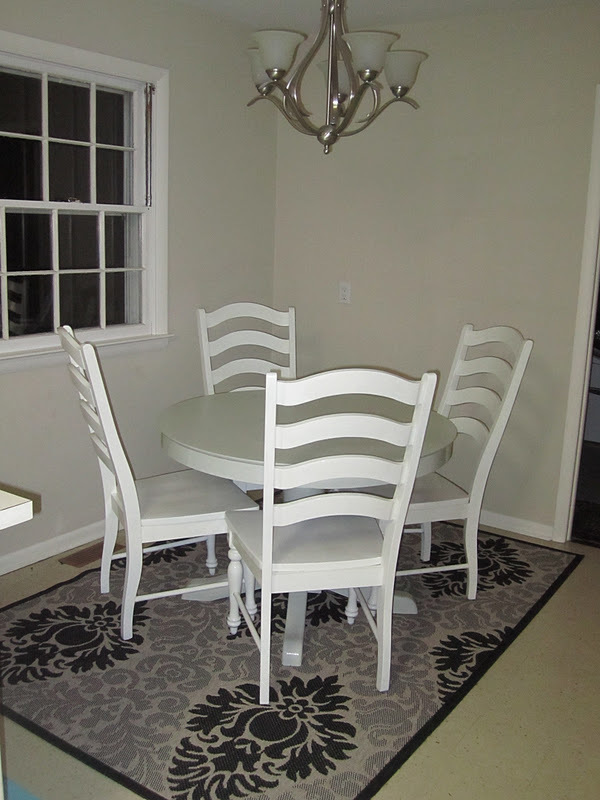 Swoon Style and Home: Kitchen Chairs From Brown to White! No clever title necessary. Can you tell how absolutely thrilled I am that this project is done and in the books? Especially after the trouble this one gave me. Sheesh o' pete. You know -- and I mean you know -- how much those brown chairs have bothered me. It is like I am on a crusade against brown wood everywhere, and for whatever reason, those chairs were atop my list o'hate. Want a reminder? Here they are in their before state. They looked so weird and heavy with the cool grey and black rug and pretty Comfort Grey painted table. 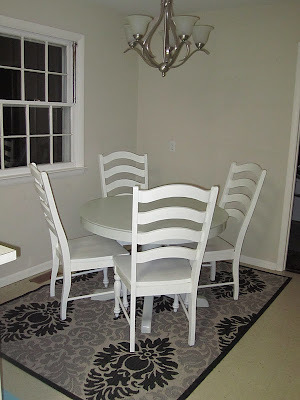 And I knew when I painted the walls grey and added a window treatment that it would make me even angrier that the chairs were brown. So I took about an hour on a stunningly beautiful Fall day and got out my spray paint and spray paint trigger and got to work. I have four chairs and I am a chronic underestimator with spray paint and how much I need. 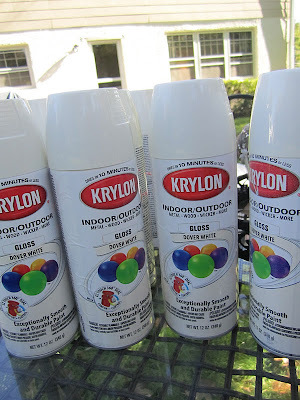 I figured to be safe, I would need three cans of primer and ten cans of spray paint. 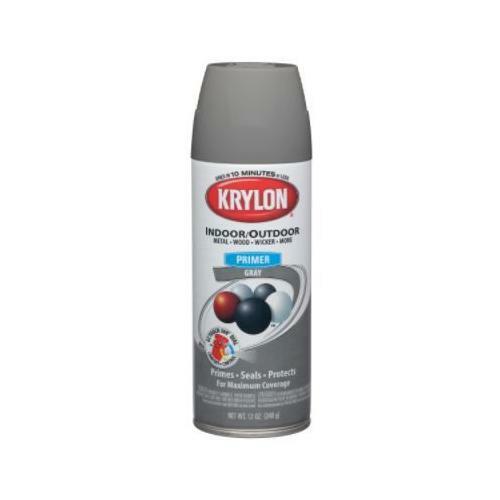 I got three cans of grey Krylon Primer (the chairs have a lot of red in them and I was going light, so a tinted primer was a must). 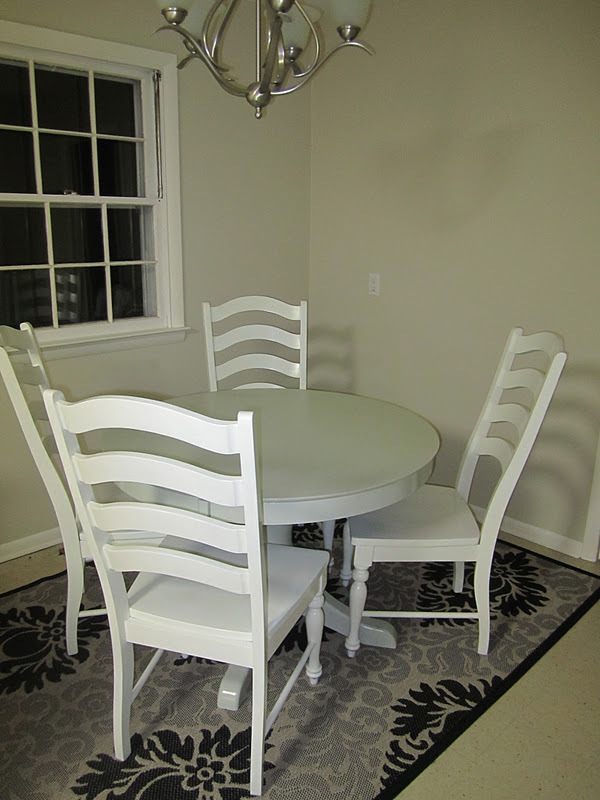 I wanted Dover White by Krylon for the chairs. It's very similar to my beloved Sherwin Williams Dover White -- it's not a stark bright white but it's not as yellow as an ivory or cream. The only place I have found Dover White spray paint is Michael's. I went to two stores and bought out their supply, ending up with eight cans of spray paint. This made me incredibly nervous: would eight be enough? And would the people at Michael's think I have a huffing problem? 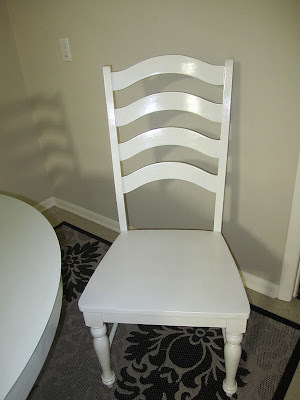 I used all three cans of primer and the chairs were looking good. Already preferable to their former brown blah state. I put them in the garage and swiped on a coat of clear Poly. When it was time to bring them back in the house, I was ready for the big reveal only to find NO!!!!! The finish was streaky and splotchy and grey and absolutely positively awful. I guess I did need those extra cans of spray paint after all. Bummer. So, rather than waste more time and more money tracking down extra cans of Dover White spray (with a very real possibility that it wouldn't fix the issue), I grabbed my trusty gallon of Sherwin Williams Pro Classic in Dover White and brushed on two coats and then another two coats of Poly. Now they are ready for the reveal. Don't they look great? Oh, so much better right? I no longer cringe when I see them and better yet, the rug and table take center stage, as they should. I will say: spray painting chairs may be easy for some, but for me after this experience, it is not the way to go. Maybe I needed more spray paint. Maybe I should have used a white primer. Maybe I should have tried Rustoleum instead of Krylon. Whatever the reason, I'm a little gun shy about trying again. In any event, the chairs are done and look fabu. What do you think? And do you have any idea what could have gone wrong with my spraypainting? I want to love it - I do! Shanna the chairs look great!! That room is looking gorgeous!! I am not a fan of spray painting larger furniture items, it does seem to come out splotchy, and uneven. Spray paint has always worked fine for smaller items, but we break out the brushes for large furniture! They look awesome! Sorry it was so much hassle, but it was worth it in the end. 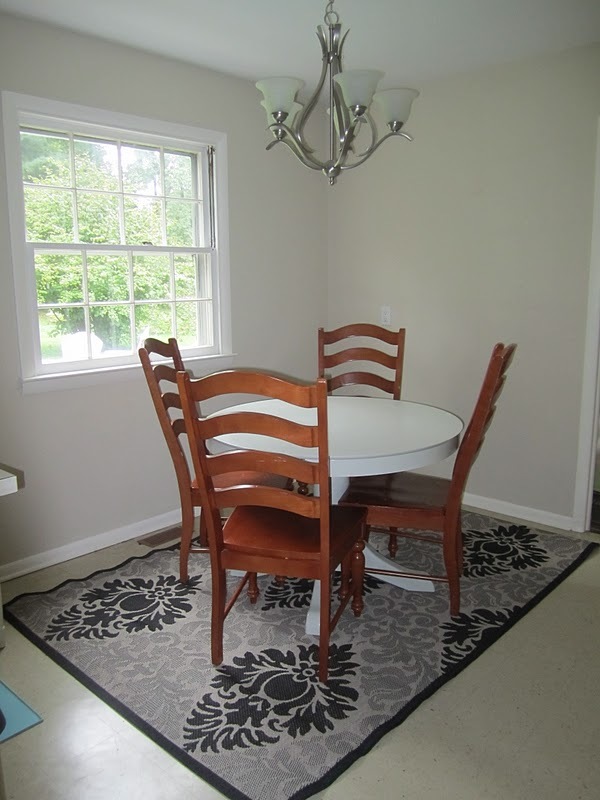 The rug pops so much more with the chairs white. What a fab room, it really made all the difference to change the chairs! I love how crisp and clean it looks, well done you.